2013 ~ Eat. Run. Rehabilitate. Today's post is the third part of my self-SFMA(Selective Functional Movement Assessment) case study series. Specifically, We will look at and break out any dysfunctional upper extremity movement patterns from my SFMA Top Tier Post. In the first post/video, I was dysfunctional/non-painful (DN) for the Upper Extremity Pattern One (Combination of Extension/Adduction/Internal Rotation of the shoulder). However, I was functional/non-painful (FN) for Upper Extremity Pattern Two (Combination of Flexion/Abduction/External Rotation of the shoulder). In case you missed it, here are the 7 top tier tests again. You can also check out the cervical spine patterns and breakout assessment here. Top 5 Posts of 2013! Happy Holidays and a Happy New Year to all of my readers! I'm not sure if I actually have any dedicated readers yet but happy holidays to any happenstance readers as well! This post is a highlight of my top 5 viewed posts of 2013. I know it isn't technically 2014 yet so maybe I will be proved wrong. However, if you are new to my blog or haven't read all of my posts then maybe this recap will enlighten you to a popular post that you missed. Today's post is second part of my self-SFMA(Selective Functional Movement Assessment) case study series. Specifically, We will look at the dysfunctional cervical spine movement patterns from my SFMA Top Tier Post. In the first post/video, I was dysfunctional/non-painful (DN) for the Cervical Flexion Pattern, and the Cervical Rotation Pattern to both the Right & Left. However, I was functional/non-painful (FN) for Cervical Extension. In case you missed it, here is the 7 top tier tests again. The SFMA works by assessing 7 general top tier movement tests. From there you perform a "breakout" of each dysfunctional pattern to determine the cause of dysfunction. Dysfunction movement patterns are broken down using an algorithm that funnels and filters the problem into either a mobility dysfunction or a stability &/or motor control dysfunction (SMCD). We can now assume the cause of the dysfunction was due to an active cervical spine flexion stability dysfunction or motor control dysfunction...or both. We know it is not a mobility issue because I had full motion when all stability and motor control requirements were removed and the movement was performed passively. If it was due to mobility reasons then my GF would not have been able to passively bring my chin to my chest. 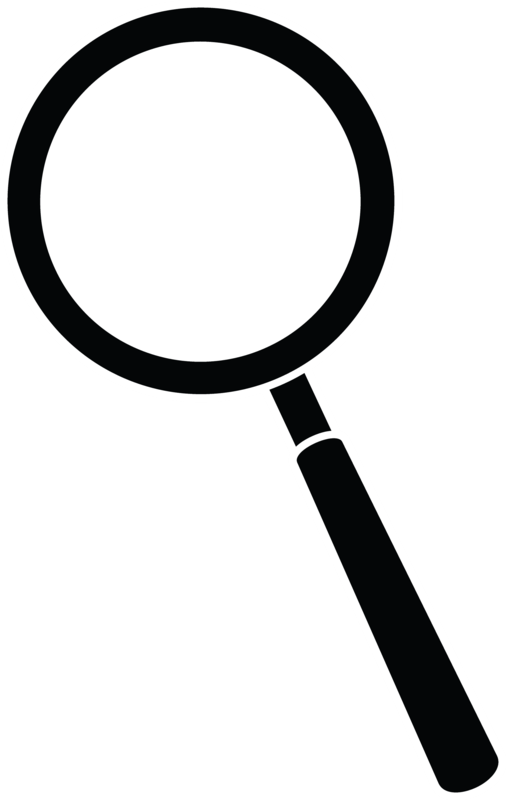 Mobility problems always present with consistent findings! This test no longer requires this degree of rotation and the ability to bring the chin to the clavicle, at least this is how I was instructed in October of 2013. We now know that the dysfunction was related to a postural and motor control dysfunction or a stability and motor control dysfunction...or both. This is why my top tier cervical spine rotation test was dysfunctional, not because of my perceived tissue "tightness." It is said that there are many ways to skin a cat...that being said the SFMA is a tool or a system of assessment. It is not a specific approach to treatment. However, there are general guidelines based off of the findings and it also lays a road map of treatment for you(eg. mobility before stability, working your way down the top tier tests). Specifically, in my case I do not have any mobility dysfunctions within the cervical spine but if I follow the philosophy of the SFMA then I need to address the SMCD of the cervical flexion pattern before attempting to correct SMCD dysfunction of the cervical rotation. There are many avenues for treating this dysfunction from dry needling to IASTM to MDT principles to using the 4x4 Matrix or etc. I can't advocate that one approach will be better for addressing my dysfunction than another...but I do have a system of assessment to judge the efficacy of each potential intervention. Perhaps IASTM and MDT combined will work great for 90% of my patients but I don't know that...all I need to know is how to assess-intervene-reassess. Oh and I should probably stay within my practice act, so use what tools you have and those that you are comfortable with. Thoughts? Do you think my breakouts and assessment have been accurate so far? What would you do with me? I know what I would do....finish the SFMA breakouts, first. Come back as I continue to break out my many dysfunctional movement patterns. Howdy again Readers! Today will be the first part of a series of posts that I am lamely labeling "My SFMA." Each post will feature a video related to my own personal Selective Functional Movement Assessment (SFMA). Today's video will showcase my own seven top tier SFMA tests. Each additional blogpost and video will showcase a single dysfunctional top tier test derived from this initial video. In those videos I will perform the appropriate breakouts according to the SFMA to determine the reason for failing each individual top tier test and will discuss ways of treating these issues. The idea behind this came from the fact that I am going to start increasing my physical activity levels, getting into better shape, and eventually getting back to marathon training. Working on preventing injuries is always easier than taking time away from exercise or training to work on treating injuries. I also thought that doing this would help me to practice more with the SFMA system and will allow me to receive guidance or feedback from others with experience using the SFMA. If you watched the video it is obvious that I have a lot of preventing...or maybe I should say correcting to do. To find out and discuss what/how I should address, don't forget to come back for part II! Howdy Readers! It has been a busy couple of months and I just finished my second to last semester of graduate school. (Yay!) I am hoping that I can start to get into the habit of rolling out more blog posts but I am not sure how the next semester will go considering that I will begin data collection for my thesis study. Today's post will be the first step at getting back into the blogging groove and it will be a short and sweet post about posture. Posture is often discussed, known about by everyone but truly ignored by most in practice. Modern society and modern technology has really been a detriment to proper posture and promotes rounded shoulders, forward head posture, excessive kyphosis (hunch back) of the thoracic spine and excessive lordosis of the lumbar spine. None of these thing postural abnormalities are helping you out as an athlete, runner or human. Poor posture can reduce breathing capacity, contribute to muscle imbalances, decrease power and performance. and result in injury. To help combat this issue I am going to give you all three simple things that you can incorporate into your daily life to work on improving posture. Hey guys! Here is a quick video that I shot the other day while working with a patient of mine. I just wanted to share a technique for ankle mobility that utilizes the Edge Mobility Band (or a theraband). Case: 21 year old male, collegiate basketball player, 4-weeks post ankle sprain. Imaging revealed avulsion fractures of the medial deltoid and lateral calcaneal-fibular ligaments. Patient was ordered by the team physician to be immobilized in a boot and on crutches for the first three weeks following injury. Initially coming out of the boot, dorsiflexion and plantar flexion were almost a zero for both active and passive ROM. In the video, this obviously didn't return ankle ROM to normal ranges but definitely increases it with just one set. I often repeat this 2-4 times depending on the patient's tolerance to the compression. I often have the patient walk a longer distance if tolerated as well. It also substantially lowers the patient's perceived discomfort associated with ankle "stiffness" and "soreness". I use this in conjunction with several different mobility techniques but is nice because certain techniques like a traditional posterior glide are much too uncomfortable for me to use with this patient at this stage. This is a pain free alternative for him! Josh’s arguments are polarizing and have definitely stirred some controversy on a topic that can invoke strong feelings by many. However, the arguments that Josh puts forth are based on evidence, logic, and an intellectual curiosity to question everything. A Superb Interview w/ Prof. Timothy Noakes on High Fat Diets, Hydration, and Challenging Conventional Wisdom. Welcome Readers! Today I have the privilege and honor of sharing a back and forth that I had with Dr. Timothy Noakes of Capetown, South Africa. If you are big into exercise physiology, running/endurance sports or high fat/low carb diets then you probably know of or have heard of Professor Noakes! Dr. Noakes is a brilliant man and when he speaks, I listen. He is a passionate man and has strong feelings but he is also passionate about science and is no stranger to challenging beliefs or conventional wisdom. He is infinitely curious and questions everything. Two hallmarks of a great mind. I hope you all enjoy the interview and are able to take one or two things from it! 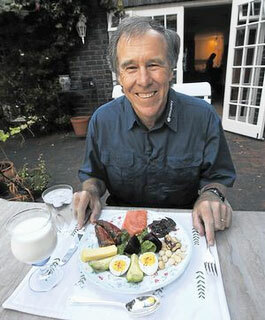 Me: Welcome Professor Noakes! I know you have been a man of many hats but could you give us a little background about yourself for the readers? Professor Noakes: I trained as a medical doctor at the University of Cape Town and during my training I realized that health, sports medicine and exercise physiology really interested me rather more than did the standard medical curriculum. So during my training I was more interested in how medicine related to sport rather than the information I was meant to be learning. I perceived that medicine was spending a lot of money on the management of chronic disease without appearing to be particularly successful. In addition, I realized that athletes were not getting much care from medicine and it seemed to me that the future of medicine lay more in prevention by promoting healthy lifestyles and exercise and, as a consequence, I realized that sports medicine would become increasingly more important. It has now been exactly a month since I took the Selective Functional Movement Assessment certification course in St. Louis, MO. You can read my initial course review here. I have been trying to incorporate the SFMA into my clinical practice as much and as often as possible since then. I wanted to take the time to highlight some thoughts and self-reflections from this process so far. Minimalist or Zero Drop Shoes Are NOT a Cure-All. Today's post is kind of half personal story/half conjecture/half observation(wait, that doesn't add up!). To begin, I have now been wearing a minimalist/zero drop type shoe everyday for both casual use and exercise/running. The only time I wear a shoe that is not completely flat is when I wear my dress shoes with my suit for basketball games. I am a huge proponent of wearing zero drop shoes with a wide toe box and the absence of a "toe spring". I feel this shoe design interferes the least with proprioception, normal foot mechanics, and proper tissue length. Think of non-zero drop shoes as being like a mini-high heel. Quick Video Update: Ankle Dorsiflexion Mobilization with Movement Variation. Hey Everybody! Just wanted to take a moment to share a video that I recorded yesterday while in the clinic. If you have ever been here before you have probably heard me mention Ankle Dorsiflexion and I often find it to be restricted in a lot of people. Well I use a lot of different techniques depending on the situation and I wanted to show you all one variation that I've been using with success. The only separating factor with this technique is that I'm using two edge mobility bands simultaneously. Hope you all enjoy it! Is It Time to Replace Your Running Shoes...or Time To Get an Evaluation? "Yeah its about time for me to replace my shoes, my 'insert body part here' has been acting up lately and 'insert symptoms here'. I definitely just need to get some new shoes." While I concede the fact that slowly overtime the properties of your shoe will change and that will affect the kinetics or forces acting upon your body during activity. However, it is inane to think the real problem is your shoes. More likely is the fact that you probably have an underlying dysfunction that becomes sub-clinical with rapid change in kinetics (new shoes) that can allow the symptoms to alleviate. Some people may argue that if this system isn't broke then don't fix it. If you have the money to constantly spend on shoes for every fabled 300-500 miles then maybe this is your thought process. On the other hand, what about the possibility that this potential dysfunction or running form issue could be detrimental in terms of potential performance. Even worse, this true dysfunction could eventually manifest into a much larger problem that isn't easily fixed with a new pair of shoes. Want to know what the better solution is in my mind? Find yourself a clinician (athletic trainer, physical therapist, chiropractor, or doctor) that is experienced with runners, running biomechanics and assessing the entire body. We don't want to find somebody that is going to point out that your shoulder blades are dysfunctional (maybe...we do!?) but perhaps you have a dysfunctional hip or back issue that is manifesting itself as pain or injury at the foot or ankle? There is also the potential for somebody to suffer from a general medical issue that is not musculoskeletal related or potentially related to nutrition/lifestyle choices. Do yourself, your running performance and your wallet a favor and refrain from buying tons of shoes and save up to get yourself a consultation with an expert clinician. Don't just settle for anyone but ask around and find somebody that has some of the aforementioned qualifications. That is my rant of the day! I was first introduced to the SFMA by a mentor of mine during my senior year of my undergraduate when he attended an SFMA course himself. He gave me some background about what it was and what they were trying to teach and ever since then I had wanted to learn it myself. Reading the book Movement by Gray Cook and becoming FMS certified didn't help my anxiousness either. 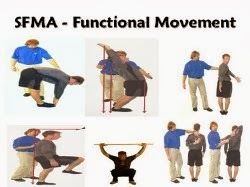 For those of you that don't know what the SFMA is..."The Selective Functional Movement Assessment (SFMA) is a series of 7 full-body movement tests designed to assess fundamental patterns of movement such as bending and squatting in those with known musculoskeletal pain. When the clinical assessment is initiated from the perspective of the movement pattern, the clinician has the opportunity to identify meaningful impairments that may be seemingly unrelated to the main musculoskeletal complaint, but contribute to the associated disability. This concept, known as Regional Interdependence, is the hallmark of the SFMA. I am finishing up my last year of graduate school and for one of my courses we have guest speakers from other health professions come and present to our entire athletic training graduate program. 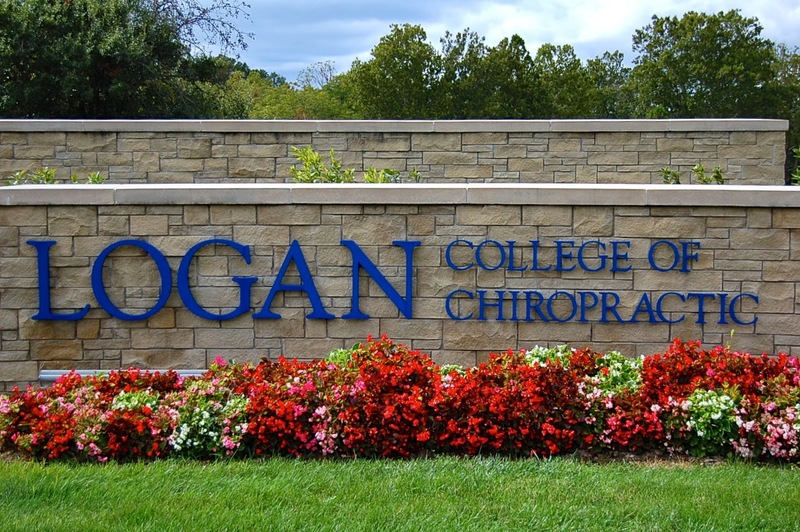 This week we had a pleasure of a having a local Physical Therapist(PT) come and present to us on Dry Needling. Dry Needling is a practice that is growing in popularity in the United States and more and more clinicians are getting trained in it. Athletic Trainers, at least in my state, do not have it in their practice acts to perform dry needling so we must refer out to others that are able to do so. I have referred a patient to this particular PT for dry needling in the past and they had great results from the treatment. This PT presented on the background of Dry Needling and discussed how it differed from traditional acupuncture (local twitch response on trigger points vs. meridian therapy), and we learned how he incorporated this "modality" into his clinical practice. We also discussed related research to dry needling and it was a pretty informative lecture. Ultimately, he presented the case of undergraduate athletic training student (that is doing a clinical rotation at his clinic)and their chronic injury that coincidentally mirrored that of the patient's that I referred to him. He then went on to utilize dry needling on this student in front of us as part of his lecture, I whipped out my camera to get some video footage of it for all of you! A 23 y.o. college student has been experiencing R side LBP that began insidiously and has been progressively worsening over the past 2 years. He also reports occasional radicular symptoms to his R posterior thigh area. He rates the intensity of his symptoms between 3/10 - 8/10 that worsen with prolonged sitting in class and while driving. He also notes that he avoids heavy lifting activities at the fitness center including dead lifts and squats. His symptoms are generally decreased with ambulation. Assessment: Myofascial Pain Syndrome related to poor strength and stability of lateral hip musculature and core stabilization and hypomobility of the thoracic spine. Treatment: Dry Needling of the "trigger points" found in the gluteus maximus and gluteus medius. Followed with IASTM of the surrounding musculature and appropriate rehabilitative exercises for strength and stability. There wasn't a true home exercise program recommended to this patient but I would expect that he usually gives them one. I am curious how patients would respond to light IASTM prior to the dry needling instead of doing the opposite. Here are the two videos! Enjoy! Anyone else have experience with dry needling via patients or personally? I haven't felt it but I am curious to how it feels! I have witnessed it to be an effective treatment but I am still apprehensive about "trigger points" as a topic or entity or our ability to detect them reliably. This weekend I am off to St. Louis to officially get trained in the Selective Functional Movement Assessment (SFMA) and I am very excited! I was introduced to this by my mentor during my senior internship as an undergraduate and have wanted to take this course since then. If you have read Gray Cook's movement you are probably familiar with the system but if you aren't then the simplest way of describing it is to call it a movement based evaluation system. System and movement are the keywords in that sentence. It is the medical professional evaluative half of the Functional Movement System (brother to the Functional Movement Screen). I will write a course review next week and post it here! HEP for the HIP: Self Hip IR mobilization! This is a quick video that I shot in the Athletic Training clinic the other day when working with a basketball player. This is a self-hip internal rotation mobilization that I have my patients perform on their own. This helps to maintain the benefits gained from treatment and manual therapy when working with me in the clinic. Ideally, this would be done about once an hour for a single set of 10-20 reps but it can be hard to have a student-athlete comply with this and fit it into their busy schedules. I also have some of them do this before practice and lifting weights for temporary mobility gains. 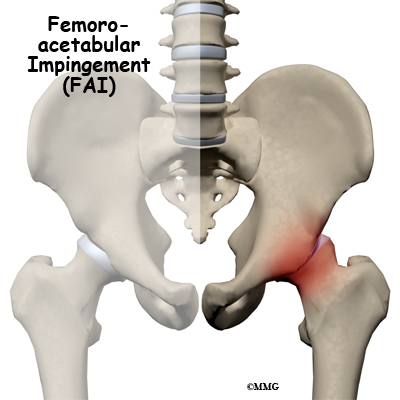 This is done by the athlete applying an active-assisted hip internal movement while simultaneously providing slight distraction/traction. Check it out! I have this athlete using an Edge Mobility Band in this video but they could also do this without the band. However, I feel that using the band is more efficacious due to the better hand-hold and compression provided by it. In other news, I found an old but good video about pain by Lorimer Moseley on "Why Things Hurt". It is actually a pretty funny video and I am sad that I have only just now found this video. For some of you this will be old but for some of you it may be new. This guy's book is on my current to-read list. Head on over to Yelling Stop to see Tucker Goodrich's post on the ketogenic diet of a top endurance athlete. 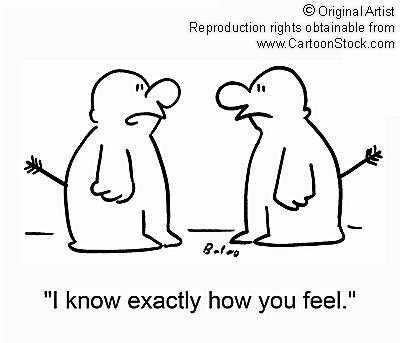 Like breaking down and analyzing the gait of others? Head over to see Pete Larson's latest post and RunBlogger to analyze some elites in SloMo. Check out Mike Reinold's latest post on what GIRD is and is not. Do you train CrossFit or treat people that do? Are you aware of the risk for Exertional Rhabdomyolysis? Get educated on this risk right here. Today's case is hot off the press. Hot as in I just saw and treated this patient today. History: This was a 22 year old collegiate softball player this plays catcher. She has a previous history of occasional headaches that weren't associated with general medical illness. Four days prior to seeing my this patient began suffering from an unusually strong headache. The pain was focal behind her eyebrows and began while she was busy studying and reading in the evening. The patient took ibuprofen but found no relief from it. Day 2: The patient awoke the next morning with the headache again. This lingered throughout the day and ibuprofen still provided no relief. The headache was severe enough to cause nausea and dizziness as a result. The patient then tried Excedrin which provided minor relief enough to allow her to fall asleep that night. Day 3: The patient awoke with the same searing headache and once again took Excedrin. This time it only provided minor relief for an hour or two at most. As the day went on the pain increased and induced nausea once again. This night the patient was unable to find sleep at all. Day 4: A repeat of the previous day began with daybreak and this student-athlete had a lot of reading and studying to do for school. These activities only exacerbated her symptoms even more. Over-the-counter medications now provided no relief and her symptoms continued into the next day when she consulted with me. Observation: On day 5 of this the patient presented me with her history and symptoms. Upon inspection she had a forward head posture, Bilaterally elevated and protracted shoulders, and an excessively forward slouching posture. I like Jay Dicharry's acronym for this postural presentation "F.A.T.S." aka female adolescent texting syndrome. Treatment: I began her treatment much like I do most of my treatments and that was with some light instrument assisted soft tissue mobilization (IASTM). I did IASTM along a cervical pattern and a little bit of her upper traps as well. Next, I had her do some foam rolling rolling of her thoracic spine to help with increasing thoracic extension and to promote better posture. After this, I had the patient lie supine on the treatment table and had her perform 15-20 cervical retractions into the table. While she would hold the retraction into the table I would apply a light bilateral - posterior to anterior force with the pads of my index fingers just lateral to her C2 spinous process. The next technique I applied was passive cervical retraction using my right shoulder to her forehead with manual traction/distraction by gripping the occiput with my right hand. I held this for about 20 seconds and did a few repeated retractions as well. I then instructed the patient on how to perform repeated cervical retractions to cervical extension with manual overpressure. I had her do this for a set of twenty and instructed her that this would be her home exercise program to repeat. Here is a quick video on how these look. After completion of this I asked the patient how she felt. She told me that her headache was completely abolished and that she an indescribable sensation of clarity. She felt as if she could see further and think more clearly...Funny how pain can cloud our judgement sometimes? I educated the patient on proper posture and ergonomics for reading and studying. I also lectured her on the necessity to repeat her HEP because of the transient benefits from my treatment. I told her that she should be able to self-medicate without medication and all that she needed was some quality movement. 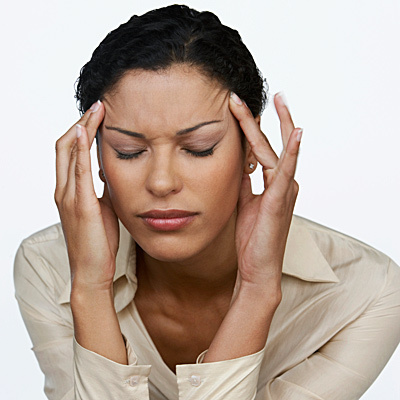 Pain can be debilitating even if it from seemingly common and minor issues such as headaches or migraines. This patient wasn't ill and her body wasn't short on OTC meds like ibuprofen or acetaminophen. These drugs aren't helping to fix your pain, just mask it. Posture can be paramount but it is not as simple just remembering to sit up straight. Patients shouldn't have to rely on my hands or treatments. We should teach them how to carry on the benefits that we provide them and how to treat themselves in the future. I just consulted with the patient again and it is the day after my treatment session with her. Her headache did not return later that evening even after heavy exertion at softball practice. She still feels great and not even a slight migraine to complain about. 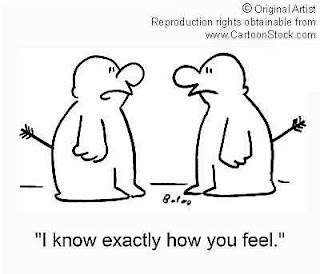 Empathy: Better to Have too Much or too Little? This is a short post today that I am typing up on my cell phone. I'm on the team bus riding back from a football game where I just had to tell a college freshman that their first season of collegiate athletics was over after playing only one game. This athlete most likely completely ruptured their ACL today and will probably need season ending surgery. This wasn't the first patient that I have delivered this news to and I'm sure it won't be the last. They took the news very well compared to others and didn't visibly weep. Despite the athlete taking it so well I found myself trying to decide how empathetic I should be towards him. The mother of the athlete was openly weeping and so I tried to answer any questions that I could for the family and athlete. I also tried to be as positive when discussing the future. Seeing that this athlete is a freshman I have only known them for less than a month at this point. I don't have a lot of history with them and I don't know their personality very well yet. This will change as they will be forced to spend the next six months at least rehabilitating this injury after surgery. I am writing this post because I find myself wondering if I was too cold, too invested or neither. Actually, I'm wondering if it's better to be one or the other? Maybe it's better for the patient to be overly empathetic and better for my own psyche to be a little desensitized. The true answer probably lies somewhere in the middle and depends on the situation, the athlete's personality, and the severity of injury. I'm curious how others deal with these types of situations and thought processes. This isn't something that is explicitly taught or discussed in school. Perhaps this is related to why there is such a high rate of burnout in health care professions? Thoughts or comments? I'd love to hear what y'all think. Earlier this week Mark Sisson discussed or should I say ranted about the haters of people choosing to go or live a gluten free life. His thoughts on this topic parallel very well with my own. Although, haters gonna hate. Dr. Gangemi aka the "Soc Doc" did a Q&A over at the Natural Running Center. Questions ranged in topics from NSAIDs to orthotics to minimalist shoes. Check it out here. I have been seeing a lot of patients and athletes lately with chronic issues and chronic pain. These are often accompanied by mindsets that Dr. Erson Religioso, DPT calls "Thought Viruses". I have had some success in addressing this with some people and other times I've failed to explain it properly and end up offending the patient. Here is Dr. E's latest post on his to five most commonly encountered thought viruses and the way he goes about addressing them. Today's post is centered around a patient that I have been working with lately. This athlete is a sophomore collegiate runner that competes in middle distance running events. This patient is now a 19 year old male that began running in 4th grade. He was in a running club affiliated with his grade school and was soon running around 160miles a year. He began to suffer minor injuries during middle school and somebody had prescribed him orthotics. He struggled with stress fractures, hip pain, and plantar fascia pain all through middle school. Despite these issues, he still managed to run a 4:43 Mile as an 8th grader. Throughout high school he continued to struggle with injuries such as hamstring strains/tendonosis, spinal stenosis and low back pain, chronic ankle instability and piriformis issues. He also struggled with plantar fasciitis/osis during this time as well. Once this athlete got to college he tried to transition to minimalist footwear in attempt to "correct" his heel strike. He did not suffer at all until halfway through his first cross-country season when he had a week long flare up of pain that was similar to his previous plantar fasciitis/osis. 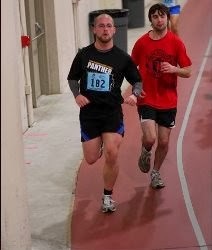 He was fine again until the beginning of his first indoor track season. The pain became unrelenting despite being prescribed new orthotics and undergoing an expensive shockwave therapy procedure. The patient decided to just cross train and rest for the remainder of his freshman year as a collegiate runner. This is where I entered the picture and had a few small conversations with this athlete regarding his plantar pain and I gave him a few exercises to perform on his own such as a self-mulligan mobilization with movement technique for ankle dorsiflexion and repeated end-range plantar flexion prior to runs. The patient used these few exercises all summer long until he returned for his sophomore year with good results but was not completely pain free. I heard that he was still struggling with his plantar pain and offered to help him with a proper evaluation and treatment plan. 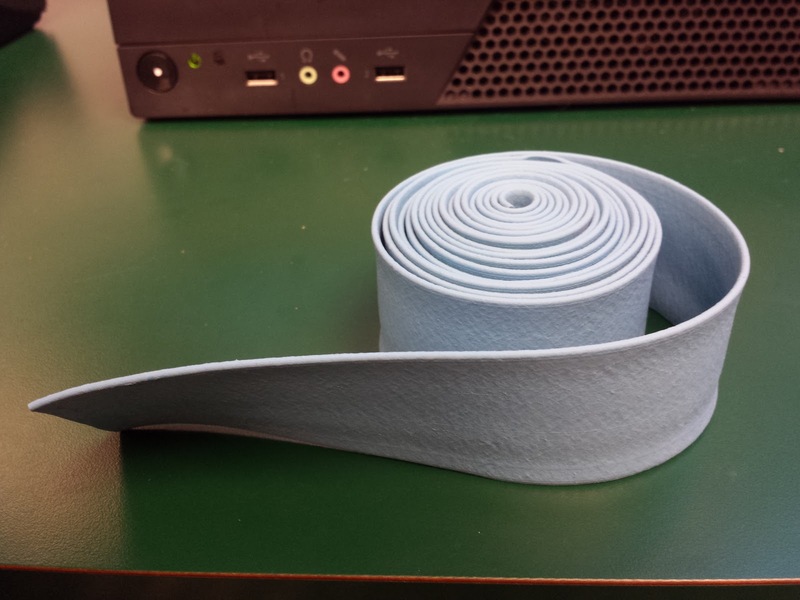 Today I will be reviewing the Edge Mobility Band which is part of the Edge Mobility System by Dr. Erson Religioso, DPT of The Manual Therapist. I have been following his blog for quite awhile now and from the start I was very intrigued by the magical blue bands that he kept using on his patients and in his videos. I would watch his videos and read his blog posts about the increased function, mobility and decreased pain associated with using these bands as part of his treatment protocol. At the time I was unaware of the Voodoo floss bands so this was my first exposure to compression wrapping for anything other than edema prevention/reduction. I even tweeted at him back in April of this year to inquire whether a poor graduate student like myself could substitute a resistance band for his bands and get the same effect. He answered my tweet with complete honesty and told me that there was nothing magical about the Edge Mobility Bands. He stated that a simple resistance band should suffice. While there may be nothing magical about these bands there is definitely something special about their construction and design considering that I wasted many hours trying to experiment with resistance bands instead of coughing up $24 bucks for two Edge Mobility Bands of my own. Most of those experiments led to cutting off the circulation of extremities, excessive body hair pulling, and the constant rolling and tearing of many thera-bands. It simply wasn't a feasible substitute for me but maybe it works or would work for somebody that is more coordinated, stubborn or cheap than me. This link is to a post by Jimmy Moore on where you can find his newly released book 'Cholesterol Clarity: What The HDL Is Wrong With My Numbers' and includes both international and US locations. I haven't read this book yet but I sure would like to eventually. Today's second post is an article by Dr. Phil Maffetone and is entitled "Gait 101: Learning to Run More Naturally." This part 1 of a two part guest post series by him over at the Natural Running Center and is a little lengthy but Dr. Maffetone always seems to have a unique but quality opinion on running related matters. Speaking of guest posts, Ben Greenfield just did a guest post for Mark Sisson on MarksDailyApple. The title of this post was '10 Rules for Becoming an Ancestral Athlete' and definitely gave me some introspective thoughts while reading it. Mike Reinold and Erson Religioso have recently put together a course on Instrument Assisted Soft Tissue Mobilization (IASTM) and you can learn about IASTM from them for cheap at IASTMTechnique.com Additionally, Mike Reinold just put together a post on his recommendations for choosing an IASTM instrument to use in the clinic. Ten Handy Apps for In The Clinic and On The Field. I recently got a new phone and I have been in the process of downloading new apps for it. This is my first Android phone so I am getting used to it but it has made me think about how much I use different apps on a daily basis in the clinic, on the field or in the classroom. This also gave me the idea of telling you all about ten different apps that I find myself using quite frequently. I am always looking for more apps that will help keep me organized and productive so if you have any suggestions please feel free to comment below. My First Guest Blog at ATCHacks! For my second and final year of graduate school I will be featured as a semi-regular guest blogger at ATC Hacks. The series will be called "Grad Life" and as you might guess it will be about my time as a graduate student and graduate assistant athletic trainer. I will be discussing things like advice for prospective graduate students, reflections on my own experiences, and anecdotes related to my own trials and tribulations. Here is a link to my first post! It isn't very long or informative, it is just more of an introductory post! This is the same website that featured me on their "In The ATR" series and you can find that post here if you haven't checked it out yet. Paul Jaminet of the Perfect Health Diet gives his take on the recent supplementation/vitamin debate. 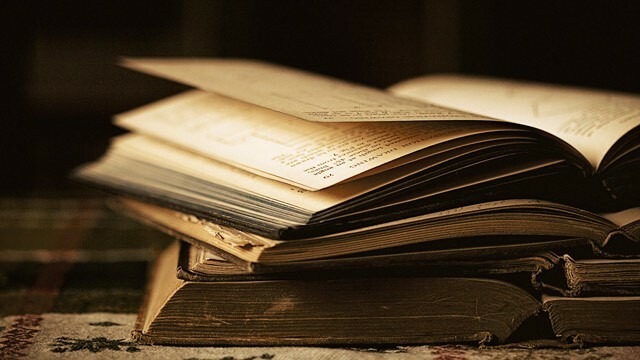 To go along with the supplements here is a lengthy review of the literature related most supplements you will find on the market. Pete Larson of Runblogger wrote a post that reminds us not to overlook the small things. For example, could your running shoes be too small? Steve Magness shared this article on twitter related to a study looking at how much power Usain Bolt needed to generate to set his records. Sports Medicine Research Blog dissects some research on modifiable risk factors for osteoarthritis! If you haven't started reading TheManualTherapist's weekly Friday "5" series then you are missing out. Here is his latest edition! I am not sure if the title of this post makes any sense but what I am trying to say is that I am itching to get back into the clinic. All of my athletes(patients) are on summer break and I won't be dealing with any athletes for another two weeks or so. I love being an athletic trainer and I have been reading/watching/learning a lot this summer that I want to use to advance my skills as a clinician. 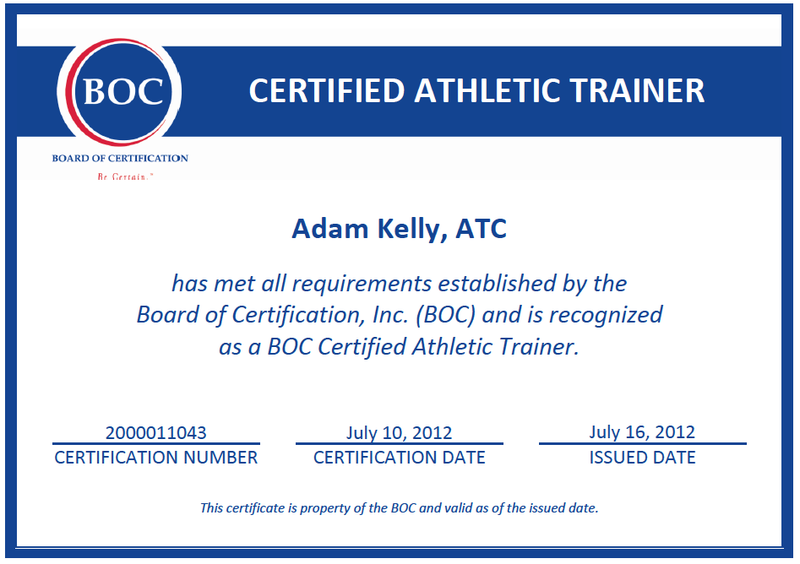 With no athletes to fix I have resorted to offering a helping hand to others outside of my athletic training world. I work as a barista for a part-time summer job to help foot some of my bills and fortunately for me over the past week this job has been a source for me to help some people with musculoskeletal issues. Strengthen and Mobilize Your Feet! I have put together a video compilation of some of my favorite mobility and strengthening exercises for the foot. The target of most of these will be for the intrinsic soft tissues of the feet but you can't fully target just one area or muscle of the body with an exercise. I didn't think of all of these ideas and I tried to give credit to those that I learned them from where I could! These would be good for anyone with a history of ankle, lower leg or foot injuries. It doesn't matter if you wear Hoka One Ones or nothing on your feet because all of us should have strong and mobile feet. Your feet do a ton of work for you and are your main contact point with the ground. Take care of them! This is the type of heat that I am talking about. Here comes another rant or a pet peeve that I have related to recent warm weather and people exercising in it. Just like this photo displays I hate that people think safely exercising in warm weather is all about preventing dehydration, and drinking copious amounts of fluids. Some athletes and coaches think that they can work vigorously and non-stop in extreme conditions as long as there is an adequate water supply. It doesn't matter how much you drink, it won't prevent your core body temperature from rising. The real danger is exercising in a way that allows the core temperature to reach unsafe levels where heat stroke can occur. 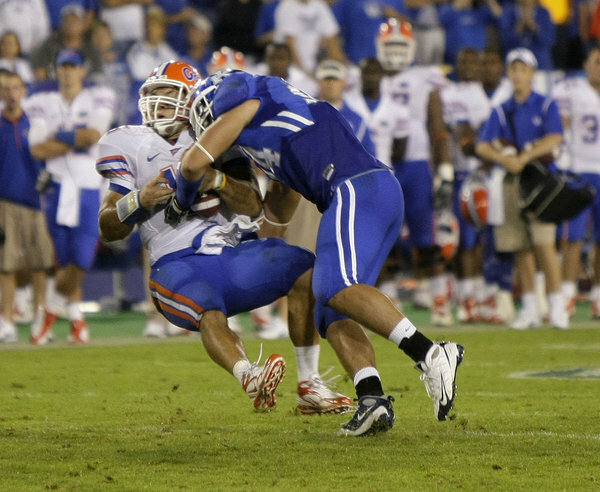 Concussions are still a hot topic and will continue to be for the foreseeable future. The media loves to discuss them, coaches loathe them, parents fear them, and the research is still within its infancy. It isn't time for anyone to jump to conclusions or panic but it is definitely a good time to stay informed and properly educated on the topic. This blog post came as a result of the latest edition of the Journal of Athletic Training, which had several concussion related articles. To begin the issue there was a special editorial written by concussion research expert, Kevin Guskiewicz, PhD, ATC, FNATA, FACSM. He is also the chair of the Department of Exercise and Sport Science at the University of North Carolina at Chapel Hill. Dr. Guskiewicz recommends that sports medicine professionals stay informed on upcoming concussion research to be published within the next 6 months. This includes the ‘‘Consensus statement on concussion in sport: the 4th International Conference on Concussion in Sport, Zurich, November 2012’’ that was published in this edition of the Journal of Athletic Training and originally published in the British Journal of Sports Medicine in March, 2013. He advises that these documents "will define the standard of care for athletic trainers and team physicians for at least the next 4 to 5 years. These documents are very well prepared and will make significant contributions to the sports medicine community." Check the boxes each time you manage a patient with a concussion. Dr. Guskiewicz had one last closing piece of advice that is very important for concussion management but is applicable to everything we do as clinicians and arguable important for any person to learn. I know football season for me is fast approaching so I know I need to make sure I get caught up on my concussion literature. I will leave you with his advice in quotes and a link to the latest journal issue! "But just as important, be sure you go the extra mile to educate yourself and your athletes and to ensure that both you and your athletes are protected. " Biphasic or Premod? Who cares! Therapeutic modalities had an entire course devoted to it in my educational curriculum and there is more and more research being done on the topic. There is plenty to learn about the theory and application of each individual type of modality from ultrasound to electrical stimulation and plain old ice. I definitely learned a lot and the use of modalities has been definitely beneficial for me as a clinician, especially for acute injuries. However, I have found myself and others at fault for relying upon modalities too much. There are too many clinicians relying upon the "powers" of modalities instead of using the power of movement and rehabilitative exercises. I'm not saying that they don't have their place because they definitely do but they often are too heavily relied upon. Yesterday, Chris Kresser announced that his book now available for pre-sale. If you haven't checked out his website, ChrisKresser.com, then you are missing out on some quality articles related to health and nutrition. His book will be titled Your Personal Paleo Code and will be released on Christmas Eve. Coach Caleb of Team BonkProof wrote a short article about dealing with the heat and humidity during these dog days of summer. I like this article and feel his advice is on target with the science related to how we should go about hydrating and exercising in the heat. Great training tips, Coach! Dr. Nick Campitelli, DPM is featuring a story on his blog of a runner that has overcome chronic knee pain by successfully and safely transitioning to minimalist running. This find technically belongs in both the Run and Rehabilitate section...Love it when that happens ;). Here is an interesting editorial by Richard Demont, PhD, CAT(C), ATC in the latest edition of Athletic Training & Sports Health Care about athletic trainers needing to promote our profession through quality research initiatives. This is an article that rings true for me considering I am working on my first research study for my master's thesis and I want it to be a quality and credible piece of work in the end. ATC Hacks Profiles Moi! And More! I was recently asked by the guys over at ATCHacks if I was willing to answer some questions for their "In The ATR" series. I have been following @ATCHacks on twitter for awhile now and I love what they have been doing, what they are about and how they are doing good things for the profession of Athletic Training. Their "In The ATR" series features athletic trainers and asks them questions about their history, methods, tips and med-kits. I was not only honored to have them ask me to be part of In The ATR, but they have also asked me on to regularly guest blog for them about my experiences as a graduate assistant athletic trainer. This next year is going to be an exciting and fast paced time for me! Head on over ATC Hacks to see their feature on me and don't be afraid to register at their site to get full access to their information for free. They have some insightful articles for athletic trainers and aspiring athletic training students. Finally - A Facebook Page! It is about time I finally got off my bum and made a Facebook Page for the blog! This will be one more way to keep in touch, share ideas, and stay up to date if you wish. That's enough blabbering for now because I need some coffee! Happy Independence Day to my fellow Americans. Celebrate safely. Oh and here is the link to the Facebook Page, throw us a Like or Share please :). There is also a button to find it on the upper right of the page near the twitter, LinkedIn, and etc icons. 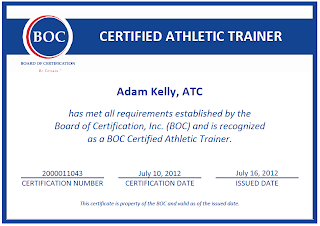 I am quickly reaching my one year anniversary since finishing my undergraduate education and becoming a certified athletic trainer. A lot has happened since then including starting work on my master's degree, my master's thesis and working with many different athletes and teams via my graduate assistant position. I have learned a lot and it would be impossible to list everything but I figured it would be a good idea to reflect back on a few major themes. Hey Readers, today's post is directed at the clinicians and people interested in manual therapy! What better way to have a post about manual therapy than to feature a new interview of TheManualTherapist.com by SportsRehabExpert.com! It is kind of lengthy but is a great conversation between Joe Heiler and Erson Religioso. I recommend taking the time to watch or listen to it! I've learned a lot from both of these guys and their websites. Here is the interview link! Happy Monday and enjoy the upcoming holiday week/weekend! Hey Readers! Here is a quick video that I made a week or so ago on how to do a Mulligan Mobilization With Movement technique to increase ankle dorsiflexion. Ankle dorsiflexion seems to be a common theme on my blog but it is a common restriction but a very important motion to have! In this video I show you a way to do it this alone or with a partner/patient. This won't be a new concept for some but I hope those who have never heard of it find it useful! Enjoy! 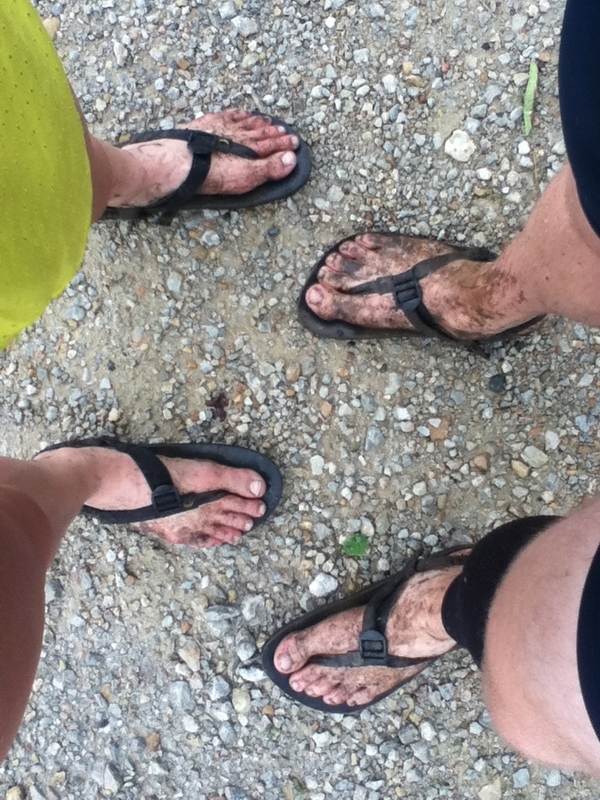 I love trail running. If I had trails close enough to me I would have force myself to not run 100% of my miles on trails. I don't think enough people know about the fun that is entailed with running trails and I don't think enough people have given it a try. I wouldn't be surprised if most people assume that its a run filled with blood, bugs, steep hills and sharp rocks. Well, sometimes it is(I consider that a plus). On the other hand, here are twelve random reasons to give it a try. 1) It is a dirty, adventurous, and thrillingly fun time. 2) Trail terrain is so dynamic it takes the monotony out of running. This means your body experiences a more varied array of forces and not the same repetitive stresses associated with road running. 3) Trails are easier on the mind than most roads. I sometimes get bored of my road routes and feel like time drags on. Trails are so jam packed with turns, obstacles, nature and picturesque views that you might not be able to keep up. 5 Quick and Interesting Finds! 1) The first shared link is a TED talk featuring Dr. Peter Attia. Dr. Attia is an integral member of NuSI and blogs over at The Eating Academy. 2) Levi Leipheimer discusses much of his dreams, career, and follies in this post's second featured TED talk! 3) A teaser concept trailer of Mark Sisson's potential future documentary! 4) Dr. Stephan Guyenet of www.wholehealthsource.org, tweeted a link with a mini synopsis of this interesting new study! 5) Professor Tim Noakes and his Colleague Peter Brukner take to the airwaves by being guests on the British Journal of Sports Medicine Podcast! See his tweet below for the link!